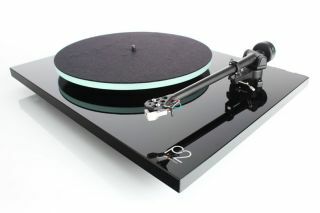 Rega announces brand new Planar 2 turntable | What Hi-Fi? Taking a scroll to the bottom of Rega’s product timeline will bring you to the Planar 2 turntable and R200 tonearm, both released in 1976. An updated P2 turntable was then released in 2005 and now in 2016 we're getting a brand new Planar 2. The new model has been developed over the last couple of years alongside the recently released Planar 3, and will come fitted with the brand new RB220 tonearm. The RB220 features new ultra-low friction ball bearings, a stiffer bearing housing and an automatic bias setting, making it virtually plug ’n’ play. Other new features include a 24v low noise motor, an acrylic-laminated plinth and a newly-designed central bearing. The platter has been upgraded too, with a new floating glass ‘Optiwhite’ design, as seen on the P3. There are also new feet to make the deck more stable. The new Rega Planar 2 will be available from May 2016 for £375.